Convergence and the Changing PC Landscape Meet the Ultrabook A Changing Thermal Target: Discussing Haswell Where Does This Leave Atom? 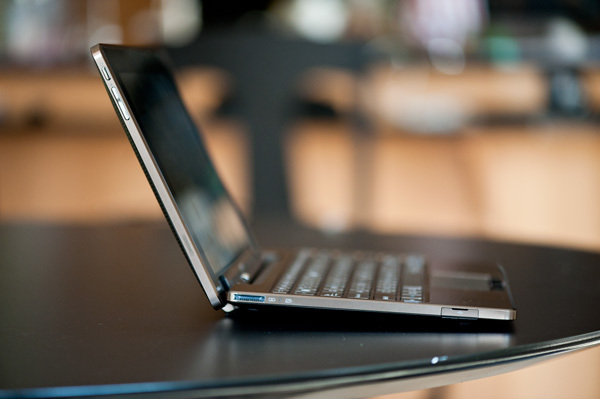 It's too cliché to proclaim netbooks are dead. Perhaps the appropriate phrase is netbooks are no longer interesting to write about, but they do have a roadmap going forward. For years we heard about convergence in the PC and consumer electronics space. Our TVs, set top boxes and video players were all supposed to get more intelligent. Last year we saw the first real fruits of those efforts with the introduction of Google TV and devices like the Boxee Box. Convergence has finally reached mainstream, but the process isn't over yet. The smartphone revolution is the beginning of a much larger convergence. A melding of computing devices, convergence between the smartphone and tablet, or the tablet and notebook PC. As is typically the case of any convergence process, this one doesn't have a clear end nor does it have a clear roadmap. Along the way there will be many attempts and likely more failures than successes until we meet the handful of devices and strategies that really make sense. 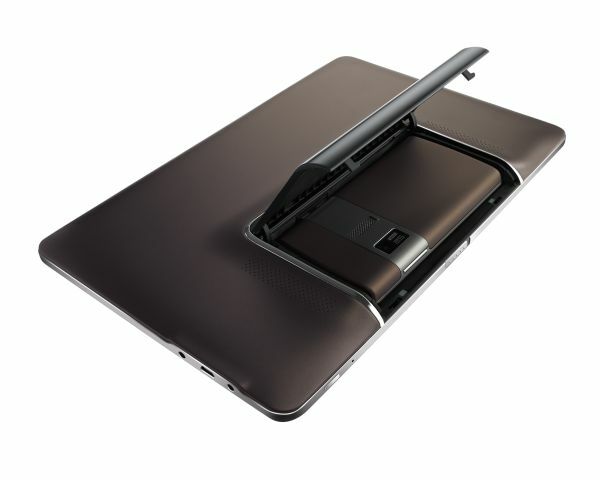 The smartphone will become even more PC-like and the tablet will become even more notebook-like. But where does that leave PCs? They too must evolve and play their role in this process of convergence, after all it will be PC technologies that ultimately drive the convergence (from the example earlier, is it any surprise that both Google TV and Boxee Box feature very PC-like processors running Linux based OSes?). How does the PC evolve? Part of it is a change in software. Traditional desktop OSes won't go away, but they must incorporate the advantages and innovations brought by the players in the smartphone/tablet markets. Apple is at the forefront of much of this revolution and the next version of Mac OS X already starts to look more like iOS with its app store, app launcher and iOS-like full screen modes. Microsoft is rumored to be preparing a very tablet friendly UI that will layer upon Windows 8, which itself will span everything from tablets (and smartphones?) to desktops. As we've learned in the past, software enables hardware and hardware enables software. The PC's changing role in the future also requires some new thought about hardware design and what sort of decisions microprocessor manufacturers are going to make going forward. We've already seen hints of this from both AMD and Intel. The two companies no longer make discrete CPUs but rather complete SoCs, similar to what you'd find in a smartphone just on a much larger scale. Like I said before, the PC will adopt the learnings of the smartphone and tablet industries as it evolves. Today Intel is announcing the first step in that evolution, an announcement that we actually first heard about from another company a year ago. 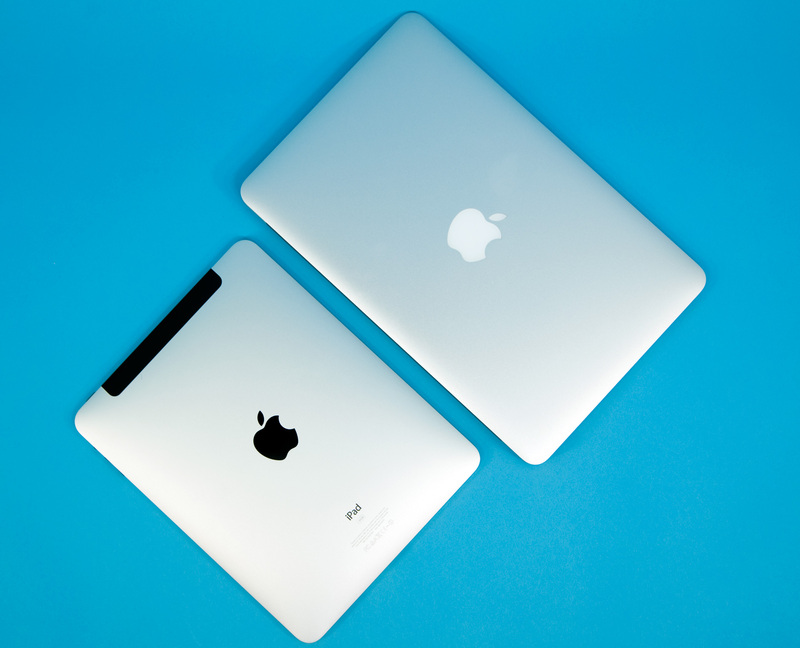 When Apple introduced the 2010 MacBook Air, Steve Jobs called it a preview of the future of the MacBook lineup. The subsequent MacBook Pro release looked pretty traditional so the messaging may have been a bit premature. I believe what Jobs was referring to was the move toward thinner, lighter and SSD based notebooks across the board. Intel's announcement today puts that future on a roadmap, and the device is called the Ultrabook. Meet the Ultrabook Convergence and the Changing PC Landscape Meet the Ultrabook A Changing Thermal Target: Discussing Haswell Where Does This Leave Atom? Intel has a history of failing at anything where they don't have a huge headstart (ie, anything non x86, or non purely process driven: Itanium, networks, wireless, DGX, RISC... basically, anything non Flash and non x86, and even x86 they managed to mess up a few times. They finally threw in the diversification towel and went all-in on x86. I'm very unclear about what advantages x86 has apart from Intel's fabs. MS dramatically dropping the ball in the phone/tablet space didn't help them at all. MS trying to avoid a catastrophe by going ARM doesn't either. Even if MS finally manages to put together something believable in the phone/tablet space, it won't be an Intel exclusive. My new Desktop is a $350 E-350, and is plenty powerful for what I do with it. I'm guessing next year ARM will be at that level of power (basically, playing videos on one screen, office stuff on the other, very light gaming), and it will be a good time to take a long hard look at whether paying $150+ for a Windows license really makes sense. Generally speaking, all modern CPUs are now RISC, but the x86 processors have an x86 decoding front end that translates the CISC instructions into RISC. Intel did this first way back in the P6 days. Of course, we also have all the SSE, MME, and other extensions (not just from Intel -- all the other CPUs have specialized instruction sets as well for certain work), so I'm not sure how valid calling anything "RISC" is these days. I'd also take pretty strong exception with the assertion that Intel has "failed" at networks and wireless; my experience is that both their WiFi and NIC solutions are slightly better than the competition. CISC CPUs are NOT RISC, as this is about the instruction set. And they are not the same internally either. CISCs always carry the extra overhead of complex variable length instruction decoders, large micro code ROMs and micro sequencers, extra logic to deal with read/modify/write instructions etc. There's plenty of documentation, games and coherency in GNU/Linux but it is largely so in the embedded and mobile space as ARM doesn't target desktops. Looking forward to the fanless Cedar Trail netbooks a lot. "Silvermont to look like? I'd say it might look a lot like a modern, ultra low power take on Conroe."